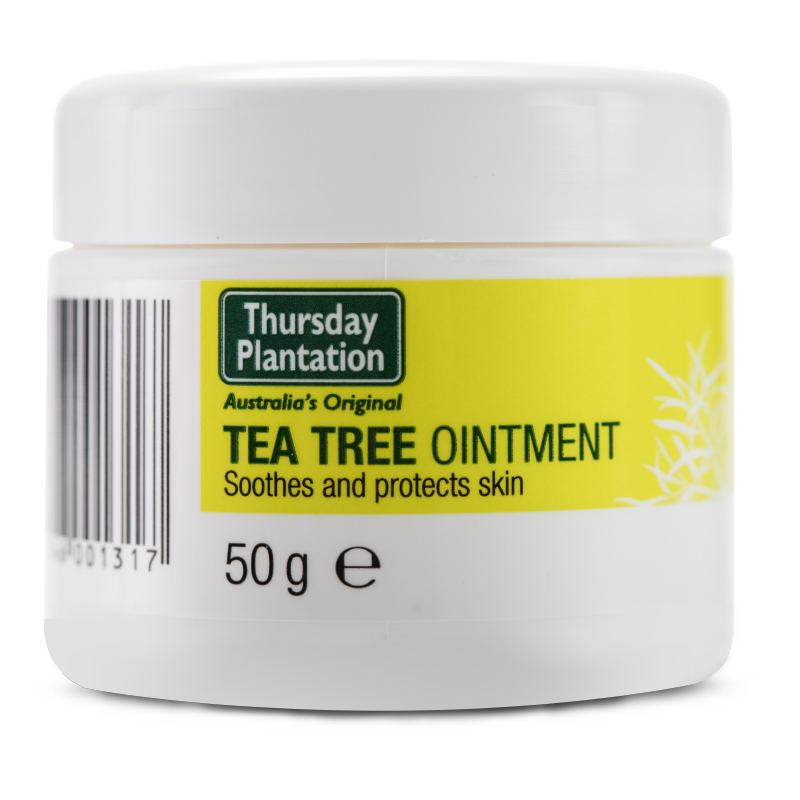 Thursday Plantation Tea Tree Antiseptic Ointment captures the natural antibacterial power of Tea Tree Oil to soothe and relieve minor skin wounds and minor skin irritations. Lower risk of potential skin sensation due to low para-cymene content of Thursday Plantation Tea Tree Oil. For external use only. Ensure skin is clean and dry before application. Apply to affected areas as often as required. Petrolatum, Mineral Oil, Cetearyl Alcohol, Melaleuca Alternifolia Leaf Oil, Tocopheryl Acetate, Limonene. With other ointments due to possible unknown interactions. With medicated dressings due to possible unknown interactions.